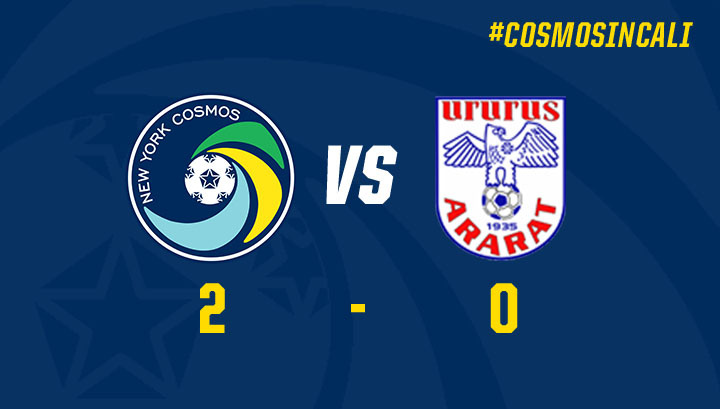 A goal in each half saw the Cosmos past Armenian first division side FC Ararat Yerevan in a California preseason matchup on Saturday night. GLENDORA, Calif. (February 20, 2016) – The New York Cosmos made their California preseason debut a winning one, as goals from forward Lucky Mkosana and midfielder Sebastián Guenzatti propelled the team to a 2-0 victory over Armenia’s FC Ararat Yerevan in an international friendly at Citrus College Stadium Saturday night. Venezuelan attacking midfielder Juan Arango had the Cosmos off on the front foot immediately, charging through the heart of the pitch and narrowly firing wide of the net from outside the edge of the 18-yard box in the game’s second minute. After a promising spell of possession, Ararat Yerevan’s Moisés Orozco countered with his own attempt from distance in the 11th minute. The former United States U-20 midfielder’s shot sailed high of Cosmos goalkeeper Jimmy Maurer’s net. Another attempt in the 20th minute forced Maurer into action, as he parried the ball out for an Ararat corner kick. The Cosmos would break through first, though, after a handful of threatening set pieces beginning in the 30th minute. Ararat Yerevan goalkeeper Gevorg Prazyan denied back-to-back Arango free kicks, but the Cosmos pressure continued to mount. At last Guenzatti picked out Mkosana with a through ball, and the 28-year-old Zimbabwean coolly slotted home the game’s first goal in the 36th minute. The second half began with attack-minded substitutions from Cosmos head coach Giovanni Savarese. Forward Jairo Arrieta and winger Yohandry Orozco replaced Mkosana and Ruben Bover, respectively. More changes came in the 61st minute, with Arango making way for Mike Lahoud and Kyle Zobeck replacing Maurer at goalkeeper. In the 69th minute the Cosmos struck again. This time Guenzatti was the goal scorer, exhibiting great control in his finish of Ayoze’s service into the box. From the 72nd minute on Savarese continued to cycle through his bench, bringing in David Diosa, Alexis Velela, Eric Calvillo and training guest Niko KranjÄar for valuable preseason minutes. Orozco and KranjÄar nearly added a third goal in the 87th minute, linking up at the top of the box, but Orozco’s attempt seared past the target. When the final whistle sounded the Cosmos had come away with a convincing 2-0 win. It was New York’s second consecutive preseason triumph by that score line, mirroring the team’s performance against collegiate side LIU Brooklyn in frigid conditions on Feb. 12. While that matchup featured freezing New York temperatures, this one kicked off in California at a mild 60 degrees Fahrenheit. Next up for the Cosmos will be another California friendly against the Premier Development League’s Fresno Fuego this Wednesday, Feb. 24. Kickoff is set for 6:30 p.m. PT (9:30 p.m. ET) at Chukchansi Park in Fresno. New York ends its Golden State stint with a Feb. 27 fixture against Major League Soccer’s San Jose Earthquakes at Avaya Stadium in San Jose. 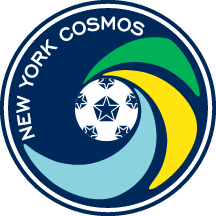 The Cosmos begin their North American Soccer League title defense at home with a championship rematch against Ottawa Fury FC on Sunday, April 3. Get your seats now by visiting nycosmos.com/tickets or calling 855-71-COSMOS.